Uber will give you a $2 rebate for its carpooling service when you arrive late in an UberPool car. Uber’s come up with a new trick to encourage more people to use its carpooling option, UberPool. The ride-hailing company will now guarantee you’ll get to your destination by a certain time (or earlier). If you don’t, you’ll get $2 off your next UberPool trip. 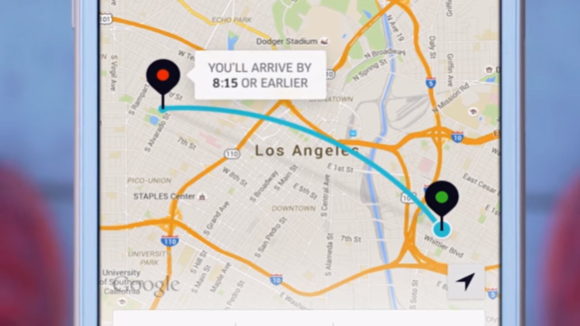 The new “Arrive by” feature is currently being tested in Los Angeles; Uber says “Arrive by” will roll out to more locations soon. UberPool is currently available in 13 cities in the United States including Atlanta, Boston, Chicago, Denver, Los Angeles, Miami, Philadelphia, New Jersey, New York, San Diego, San Francisco, Seattle, and Washington DC. To use the new “Arrive by” feature you’ll need to be running the latest version of the Uber app—it’s not clear if this includes the Windows 10 version. Next, select your pick-up and drop-off locations for UberPool to see pricing and an arrival time estimate. Once you’re rolling, if you show up later than the estimate, you get $2 off your next UberPool ride. The impact on you: Two bucks may not seem like much to individual users, but it can quickly get expensive for Uber if it’s paying out hundreds or thousands of rebates per day. That’s why Uber’s time estimates aren’t based on how soon you’ll get there, but the “absolute latest time you’ll reach your destination.” That’s worth keeping in mind if a ride estimate seems to be quoting an arrival time that’s later than it should be. You may get to your destination sooner than the estimate—Uber says this will often be the case—but there are no guarantees. UberPool was first introduced nearly two years ago—just hours before competitor Lyft’s similar carpool service, Line—as a way for multiple Uber passengers to catch a ride in the same car. UberPool’s system automatically matches passengers headed in the same direction and routes their hails to a single car.